Cnet says BlackBerry Thunder looks "embarassingly weak" | BlackBerry Blast! BlackBerry Blast! > News > Cnet says BlackBerry Thunder looks "embarassingly weak"
Cnet says BlackBerry Thunder looks "embarassingly weak"
There has been quite a bit of buzz and speculation about the BlackBerry Thunder lately. The Thunder would be RIM's first attempt at a touchscreen BlackBerry, but it looks like they'll have to do more to impress Cnet. It appears that Cnet is not very fond of the upcoming BlackBerry Thunder. Some suggested it could be the iPhone killer but Cnet disagrees. 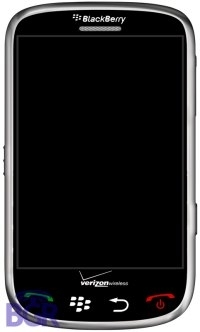 "As Apple announced that it sold over 1 million of the new iPhones already (despite the activation debacle), pictures of the new Blackberry "Thunder" have surfaced and so far it looks embarassingly weak. Admittedly, this isn't the final version and you'll never win me over with Comic Sans, but this just goes to show you how much farther along the iPhone is to anything else in the mobile universe."